Dressing up store bought desserts is always an easy way to personalize treats for a party with minimal work. You can't dip popsicles in chocolate, but Alexis solved that problem with Magic Shell. 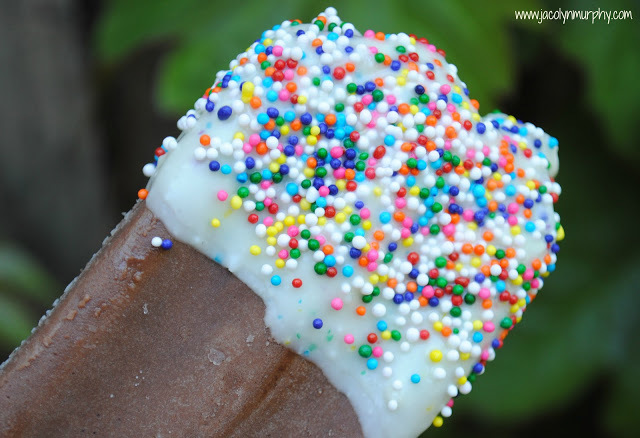 These fun dipped fudgecicles are the perfect birthday party treat for your Summer birthday bash. She even put a candle in one! You can check out all the fun with Fudgcicles over at Jac o' Lyn Murphy.